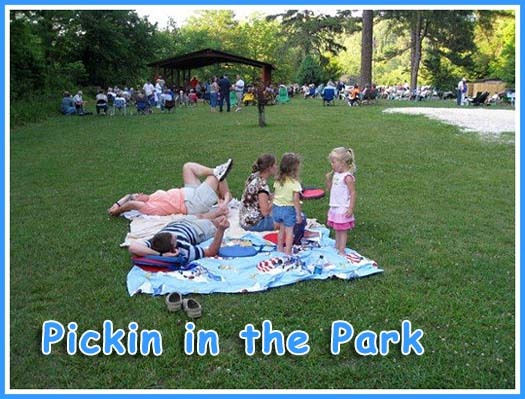 Pickin in the Park is helf every Thursday, 6:00 PM to dusk, May through September. Live music jams and pickin' on the banks of the Toccoa River at the Horseshoe Bend Park in McCaysville. The park is wheelchair accessible. Come out, bring the whole family to enjoy the experience. Picnic tables available, nice grassy lawn but you are also welcome to bring a blanket or chair.